The head of email un-subscription service Unroll.me has said he’s “heartbroken” that users are unhappy to learn that the company was selling their data, but people are not impressed with his non-apology. Unroll.me allows users to unsubscribe in bulk from online mailing lists and newsletters - an attractive free service for those with clogged inboxes. There is a catch, however. The service requires access to users’ email accounts so they can scan for subscription links which are included at the bottom of most newsletters. After being acquired by shopping app Slice in 2014, the company began selling data about its users. To make matters worse, it was selling the data back to the very same companies users were unsubscribing from, the Guardian reports. This only came to light as part of a New York Times report about ride-hailing company Uber, which revealed it was buying data from Slice Intelligence. Slice used Unroll.me to collect email receipts from Uber’s rival company Lyft, and sold the data to Uber, allowing the company to analyze its rival’s business. 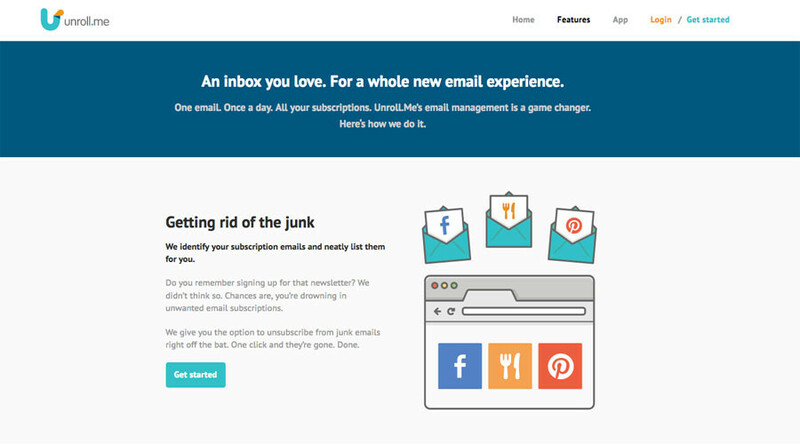 Unroll.me CEO Jojo Hedaya wrote a company blog post addressing the scandal on Sunday. @Unrollme Too late, I'm done. @Unrollme That you guys hid this in your TOS is hot garbage. I thought you made money from the ads. That made sense. @Unrollme@BenedictEvans Nothing on the unroll website suggests any reason you might even look at, let alone snoop on, customer receipts. You want to deceive.